This Asbestos Inspector training course accredits individuals to assess the condition of asbestos material and report the results. Any person who performs the tasks involved in the asbestos survey, identification and assessment of the condition of asbestos and asbestos material, or who is involved in the collection of bulk samples of asbestos material for laboratory analysis, needs this training. This workshop prepares you to immediately apply your knowledge to the field, with extensive hands-on training and real-world examples from experienced instructors. Below are the most recent student reviews for previous Asbestos Inspector Courses. The instructor was very gracious. Always there to help or offer more than enough advice! The instructor was very gracious. Always there to help or offer more than enough advice! I enjoyed the course and received a lot of information about the industry! The instructions were extremely friendly and helpful... I enjoyed the course and received a lot of information about the industry! The instructions were extremely friendly and helpful and you can tell they love their jobs. The instructors were qualified and considerate. The class was to the point. My goals were achieved. Thank you! The instructors were qualified and considerate. The class was to the point. My goals were achieved. Thank you! The course ran smoothly and the instructor was knowledgeable and interesting. The course ran smoothly and the instructor was knowledgeable and interesting. My instructor was extremely knowledgeable and shared his experiences, solutions and situations with us. This allowed us to... My instructor was extremely knowledgeable and shared his experiences, solutions and situations with us. This allowed us to relate to the subjects we were learning. His delivery was funny at times, easy and clear. I enjoyed this class. I thought the class was sufficient. I thought the class was sufficient. Instructors were very good. Instructors were very good. Very informative class. I would recommend it. Very informative class. I would recommend it. Good content and well presented. I will attend more courses in the future. Good content and well presented. I will attend more courses in the future. The instructor did great job on instructing the class with all the knowledge needed to succeed for quality asbestos inspections. The instructor did great job on instructing the class with all the knowledge needed to succeed for quality asbestos inspections. Great class with very useful information. Great class with very useful information. The facility and instructor at ETC were excellent. The facility and instructor at ETC were excellent. The instructor was very knowledgeable and happy to share his abundant experience. His personality and presentation skills... The instructor was very knowledgeable and happy to share his abundant experience. His personality and presentation skills made dry subject matter interesting and engaging. The reference materials provided are much appreciated. 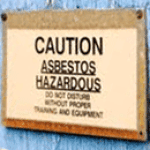 I learned all about asbestos regulation and sampling procedures in the USA. It was very useful for me. Thank you! I learned all about asbestos regulation and sampling procedures in the USA. It was very useful for me. Thank you! The course information and the instructors were excellent. I knew almost nothing about asbestos prior to the course, now... The course information and the instructors were excellent. I knew almost nothing about asbestos prior to the course, now I am able to confidently discuss the topic. I am very satisfied with this experience and I hope to return for additional training. The class was excellent. Entertaining and instructional, which is hard to achieve with such a serious subject. The class was excellent. Entertaining and instructional, which is hard to achieve with such a serious subject. Great knowledgeable instructors. I would suggest that the course book and the associated powerpoint match so that notes can... Great knowledgeable instructors. I would suggest that the course book and the associated powerpoint match so that notes can be taken along with the instruction given. The class could use more organization; the explanation of topics appeared to be random and not thoroughly explained. Both... The class could use more organization; the explanation of topics appeared to be random and not thoroughly explained. Both teachers were very kind and there were ample resources to use. Thanks! The instructor told us many experiences and tips for those starting out. It's good to have real-world advice from your trainer... The instructor told us many experiences and tips for those starting out. It's good to have real-world advice from your trainer and not just going over the books and regulations. Some references seemed out of date, but that could be because a lack of new information/updated regulations. Lively, comprehensive and interesting. Most courses of this type tend to be mundane. The instructor laced the content... Lively, comprehensive and interesting. Most courses of this type tend to be mundane. The instructor laced the content with real life anecdotes and personal experience and thoughtful presentations that emphasized important points of asbestos inspections normally lost in the average course available to students. Great course. People were friendly and knowledgable. Would have liked some more hands-on experience, however. Great course. People were friendly and knowledgable. Would have liked some more hands-on experience, however. Knowledgeable and experienced instructor. Knowledgeable and experienced instructor. It was very informative. It was very informative. The people there are very helpful. The instructor is a great guy too really has a passion for Asbestos. Really enjoyed the... The people there are very helpful. The instructor is a great guy too really has a passion for Asbestos. Really enjoyed the class. Instructor was extremely knowledgeable on the topic. Also, he was quite personable and kept things at a level that all could... Instructor was extremely knowledgeable on the topic. Also, he was quite personable and kept things at a level that all could understand! My experience with Seagull was very satisfying. The instructor is very knowledgeable, realistic and is an effective communicator.... My experience with Seagull was very satisfying. The instructor is very knowledgeable, realistic and is an effective communicator. I would certainly return there in the future. The other staff and trainers were readily available to help and the location makes for a great learning environment. Convenient, efficient and lots of great info. Skype sessions with the instructor are the best part. Convenient, efficient and lots of great info. Skype sessions with the instructor are the best part. Instructor was very knowledgeable - Subject matter expert. His delivery and reference to his experience in the field was... Instructor was very knowledgeable - Subject matter expert. His delivery and reference to his experience in the field was very much on point. Overall, an excellent presentation. The course was very informative. I felt like I learned a lot and have a strong respect for the dangers of Asbestos. The course was very informative. I felt like I learned a lot and have a strong respect for the dangers of Asbestos. Great course! Excellent instructors with lots of real world experience! Great course! Excellent instructors with lots of real world experience! The course was so useful and the instructor was so good and so clear. The course was so useful and the instructor was so good and so clear. Material was very informative and up-to-date. Instructors were a pleasure to work with. I would highly recommend. Material was very informative and up-to-date. Instructors were a pleasure to work with. I would highly recommend. The instructor was very subject knowledgeable. They took the time to explain what to expect in the field and willing to answer... The instructor was very subject knowledgeable. They took the time to explain what to expect in the field and willing to answer questions of former students. Thanks again! On-site personnel was very friendly and accommodating. The videos were still very relevant and interesting. Personalized... On-site personnel was very friendly and accommodating. The videos were still very relevant and interesting. Personalized FaceTime / Skype discussions were excellent and helped to personalize the course. Everything I hoped for. Everything I hoped for. Tom was awesome! He was knowledgeable and very approachable ... I asked a ton of questions which contributed to how much... Tom was awesome! He was knowledgeable and very approachable ... I asked a ton of questions which contributed to how much information I was able to absorb. These classes aren't always riveting but he made it bearable. Will definitely be taking my refreshers with ATC. This was an excellent class. I feel like I’ve learned a lot that will benefit me in my future! This was an excellent class. I feel like I’ve learned a lot that will benefit me in my future! Excellent information for initial Asbestos Inspector Training. Instructor was very informative and knowledgeable of the subject... Excellent information for initial Asbestos Inspector Training. Instructor was very informative and knowledgeable of the subject matter! The course was easy to follow, and allowed me to work at my own pace. Being able to stop videos to take notes, and ask any... The course was easy to follow, and allowed me to work at my own pace. Being able to stop videos to take notes, and ask any of the instructors or Jim Stump himself any questions I had now, or in the future is an invaluable connection that most training companies to not even begin to come close to matching. 5/5 Will definitely be taking any future classes I need that they offer here! Very good and easy to understand. Very good and easy to understand. Both instructors for the class were quite knowledgable and made the material easy to understand. Both instructors for the class were quite knowledgable and made the material easy to understand.